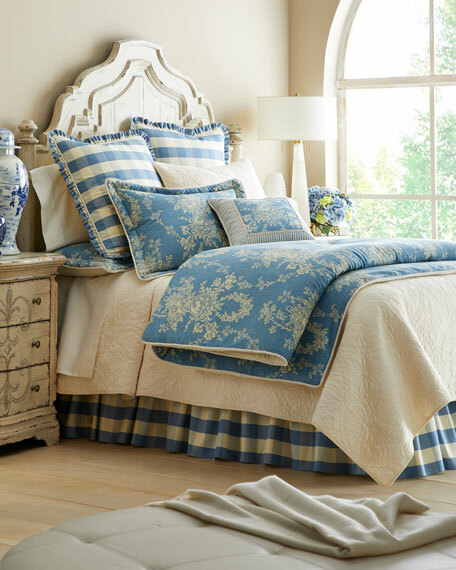 Includes toile comforter, two toile shams, and checked dust skirt with 17" drop. 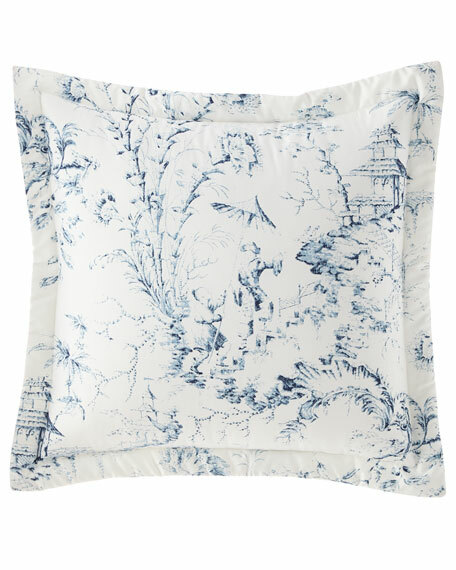 Sherry Kline Home Framed Country Manor Toile-Print Pillow, 18"Sq. 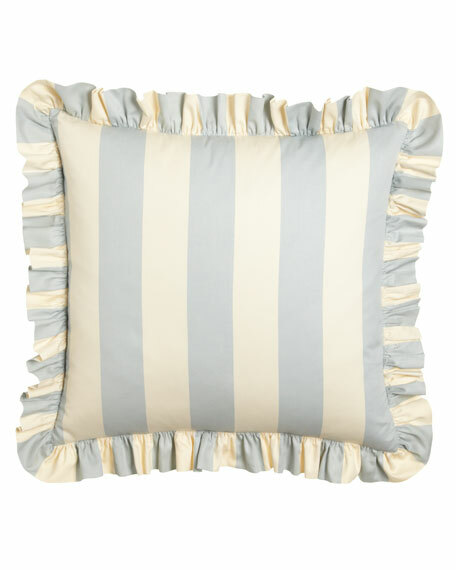 Reverses to stripe fabric with cording and gimp braid. 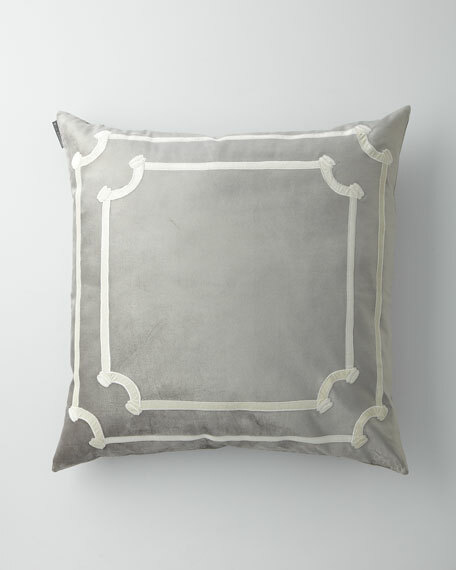 Applique sham made of silver and ivory viscose/cotton velvet.Matches duvet cover. Machine wash. 26" x 26".Imported. 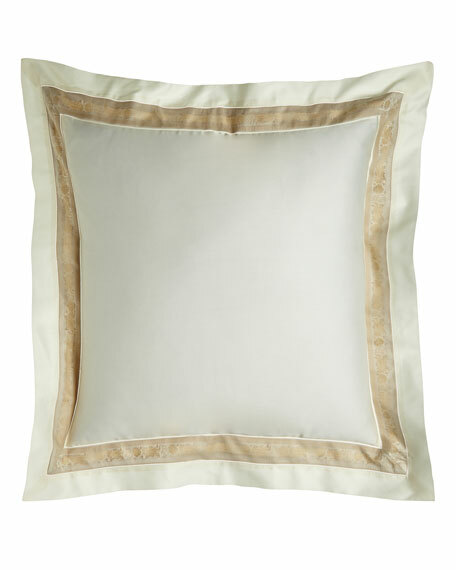 Yarn-dyed, ivory Egyptian combed cotton with ribbon border.300-thread-count.Machine wash.Made in the USA of imported materials. 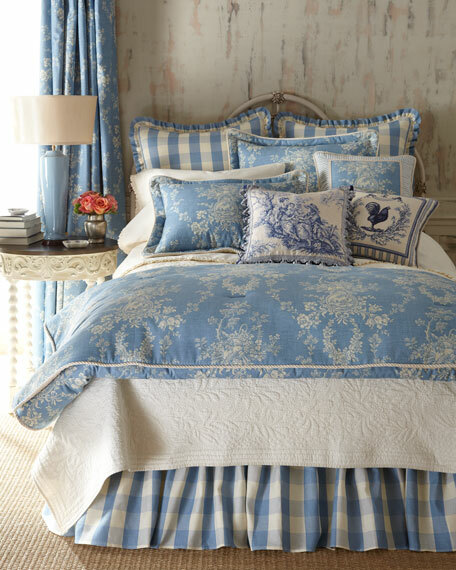 EXCLUSIVELY OURS.Printed sham with 2" top stitched flange. Matching two-piece envelope back. Cotton.Dry clean.Made in the USA of imported materials.